Hi, I am interested in your 2019 Venture SportTrek listed on Autotrader. I'd like to get more information about this vehicle and confirm its availability. 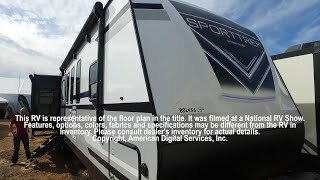 2019 SPORT TREK 342VBH MID BUNK TRAVEL TRAILER. SEE THE HOTTEST 5TH WHEEL FLOOR PLAN NOW IN A BUMPER PULL TRAVEL TRAILER. CALL 855-235-0291 TODAY FOR AN APPOINTMENT TO SEE THIS BEAUTY.